Why not save time and manage multiple sales? You can store up to 10 sales at one time depending on your package - this allows you to have sales prepared in advance and means you can save sales for use again in the future. To view all package features, see our comparison page to decide which is the best account for you. 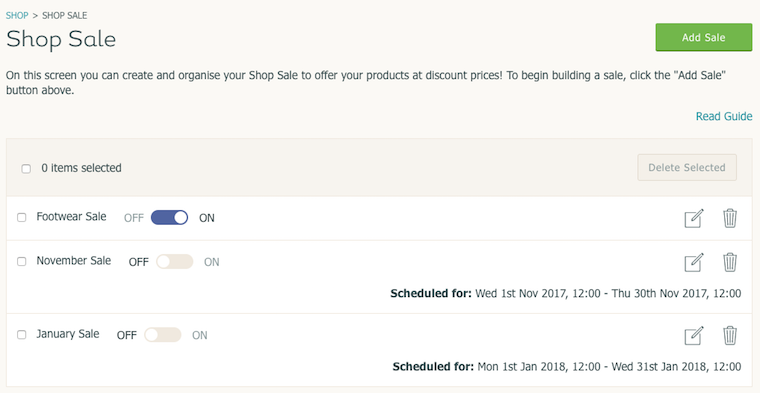 Please note: You can only have one sale running 'live' at one time - but why not schedule sales in advance to save having to turn on/off manually! See our guide "How To Set Up A Scheduled Sale" for more information.